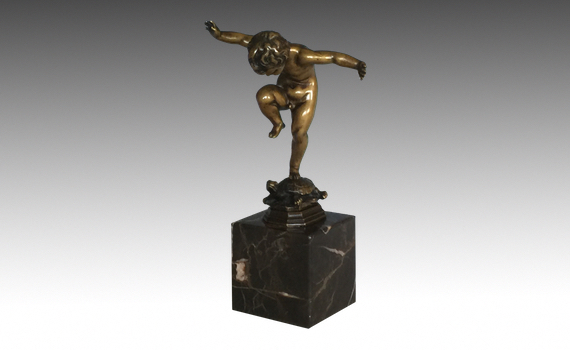 An early 20th century patinated bronze figure of a young boy balancing on the back of a tortoise. His arms outstretched, looking downward with one leg raised, supported by a tortoise standing on square marble plinth. The figure lifting out from the base. Golden brown patination.